To create this extraordinary blend, Crown Royal whiskies are carefully selected by our master blender and infused with the subtly sweet taste of honey. The harmonious notes of wild clover and sunflower honeys complement the richness of Crown Royal Blended Whisky. 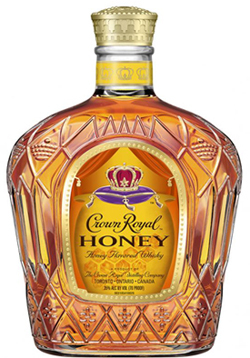 The result is a vibrantly delicious whisky with the sophisticated and distinct smoothness of Crown Royal. Enjoy straight, on the rocks or in a cocktail for a uniquely smooth experience.